After getting a taste for blood as children, Hansel (Jeremy Renner) and Gretel (Gemma Arterton) have become the ultimate vigilantes, hell-bent on retribution. Now, unbeknownst to them, Hansel and Gretel have become the hunted, and must face an evil far greater than witches ... their past. $19.690 million on 3372 screens. With the current trend of fairy tales turned into action flicks, we’ve seen up and down results. 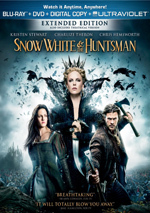 2011’s Red Riding Hood earned a dismal $37 million in the US, but 2012’s Snow White and the Huntsman did pretty well; it ended up with $155 million in the States. Between those two poles comes 2013’s Hansel and Gretel: Witch Hunters, though it fell much closer to Hood than to Huntsman - domestically, at least. Hunters raked in $55 million US, so it didn’t do a lot better than Hood here. However, while Hood earned only an extra $51 million foreign, Hunters scored a solid $169 million outside of the US. With a worldwide gross of $224 million, Hunters easily turned a profit, even if it still fell far short of the $396 million Huntsman took in globally. So Hunters managed to do okay at the box office, but does that mean it offers a satisfying update on the old fairy tale? Nope. Like its predecessors, Hunters fails to explore the source material in a compelling manner. A prologue introduces us to young siblings Hansel (Cedric Eich) and Gretel (Alea Sophia Boudodimos). For reasons unknown, their father (Thomas Scharff) abandons them in the forest, and they stumble upon a house made of candy. It turns out this abode is owned by a witch (Monique Ganderton) who wants to fatten them up and cook them. However, as the witch forces Hansel to chow, Gretel escapes and burns her. The film then leaps ahead to show us adult Hansel (Jeremy Renner) and Gretel (Gemma Arterton) in their lives as fabled witch hunters. Mayor Englemann (Rainer Bock) of Augsburg hires them to find out who abducted the local children and bring back the kids. We follow their adventures as they move toward a confrontation with powerful witch Muriel (Famke Janssen). Going into Hunters, I didn’t expect a cinematic classic. All I wanted was a romp with some lively action and fun along the way. After all, the film comes with a clever premise, and it shouldn’t have taken much to deliver decent excitement. Alas, the dull Hunters couldn’t live up to those hopes. 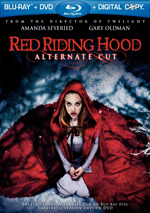 Even with a brief theatrical running time of 88 minutes – expanded to 98 minutes with the “Unrated Cut” found on this Blu-ray - the flick offers a tough slog. No matter how much action it throws at us, it drags, as the various elements fail to give us the desired thrills. Honestly, I can’t remember the last time I saw a movie as consistently blah as this. I can’t say it did X or Y wrong; on the surface, it should offer all the components necessary for a lively action flick. Unfortunately, those components simply fail to coalesce into an appealing whole. Hunters feels like action by committee. It seems derivative and without any real inspiration; even with the clever twist on the old fairy tale, it can’t bring any zest or pizzazz to events. It probably doesn’t help that the actors tend to sleepwalk through the flick. Janssen occasionally looks like she’s there for something other than a paycheck, but Renner and Arterton prove to be disengaged leads. I like both and know they’re talented, but you’ll find little evidence of their skills here; they simply plod through the mediocre material without any signs of life. Even the action sequences lack spark. The movie attempts to deliver a variety of “kill methods” when H&G take down the witches, but none of them entertain. The slayings come and go without anything to make them memorable; like everything else here, they’re perfunctory. “High concept” action flicks like this can be entertaining; heck, it doesn’t get sillier than the idea behind Abraham Lincoln: Vampire Hunter but that movie delivered a lively experience. No such enjoyment results from the slow, monotonous Hansel and Gretel: Witch Hunters, a thorough dud of a film. 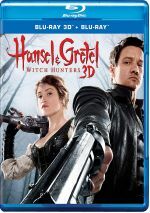 Hansel and Gretel: Witch Hunters appears in an aspect ratio of approximately 2.35:1 on this Blu-Ray Disc. This was a generally good image but not a great one. Low-light shots – of which we found plenty – provided the most obvious concerns. Blacks seemed deep enough, but shadow detail tended to be lackluster, as these scenes were usually too dark. This marred another recent supernatural film - Beautiful Creatures - and I strongly suspect it’s a visual choice; for reasons unknown, filmmakers seem to be more and more enamored with overly opaque nighttime sequences. That wouldn’t be a big deal if we didn’t get a lot of them, but Hunters featured so many that it turned into a distraction. Otherwise, this was a positive presentation. Sharpness came across as accurate and concise, with little to no softness on display. I witnessed no jaggies or shimmering, and edge haloes remained absent. As expected from a brand-new movie, I saw no print flaws. Also as expected from a modern action flick, the palette tended heavily toward orange and teal. That style seems tedious, but within the visual limitations, the colors looked fine. The semi-murky low-light shots made this a “B-“ image, though I suspect it replicated the source accurately. I felt satisfied with the film’s strong Dolby TrueHD 5.1 soundtrack. With so much action on display, the mix came to life frequently and used all five channels in an active, dynamic manner. Arrows and other weapons zipped around the room, and louder explosions/fire elements created a vivid sense of impact. All of these moments meshed together in a fulfilling way to create a terrific soundscape. Audio quality also worked well. Music was dynamic and full, with clean highs and rich lows. Effects appeared accurate and bold; bass response added real kick when appropriate. Speech appeared concise and natural. All in all, I thought this was a terrific track. The Blu-ray presents the film’s Unrated Cut (1:37:56). How does this compare to the theatrical version found on a bonus DVD (1:27:53)? Many of the changes come from brief additions to existing scenes; we’ll often find a few seconds to pad out a scene, usually in the form of extra profanity or gore. In terms of longer elements, we see a fight between the sheriff and the mayor, and we also watch Hansel hit on a woman at a bar. We get a lot more of the witches; we see extra shots of their torture of the children as well as an interrogation. In addition, the scene in which the sheriff and his goons attack Gretel receives different editing; it shows up later in the story via the Unrated Cut. Does any of this make the Unrated Cut superior to the theatrical version? Not really. Fans may like it better because it’s a bit more graphic, and the story points do flesh out the witches a little better. Nonetheless, the added 10 minutes don’t create anything to clearly improve the movie. Three featurettes follow. Reinventing Hansel & Gretel goes for 15 minutes, 41 seconds and provides comments from producer Kevin Messick, writer/director Tommy Wirkola, and actors Jeremy Renner, Gemma Arterton, Famke Janssen, and Peter Stormare. We learn about the project’s origins and development, story/characters, cast and performances, stunts and action. The show doesn’t dig into the production in detail, but it delivers some good notes. The Witching Hour lasts nine minutes, one second and offers notes from Wirkola, Renner, Messick, Janssen, Stormare, Arterton, creature and makeup effects designer Mike Elizalde, and actor Derek Mears.The featurette looks at the film’s depiction of witches, with info about character design, makeup and effects. Like “Reinventing”, we don’t get a lot of depth, but we find a decent overview of witch-related topics. Finally, the five-minute, 35-second Meet Edward the Troll features Wirkola, Messick, Mears, Arterton, Renner, and Elizalde. They tell us the techniques used to bring the Edward character to life. This offers another short but interesting piece. 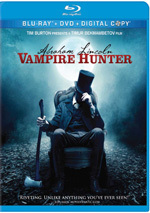 As already mentioned, the set also provides a DVD copy of Hunters. This offers the movie’s theatrical cut – unavailable on the Blu-ray – and previews but lacks other extras. Does the concept behind Hansel and Gretel: Witch Hunters sound intriguing? Yup. Does the end result entertain? Nope – despite massive amounts of action and gore, the film falls curiously flat. The Blu-ray offers decent visuals along with excellent audio and a few useful featurettes. I wanted to like the film but it left me cold.